Chester County PA single-family homes saw pending sales increase by 1.6% in January 2019 when compared to January 2018. 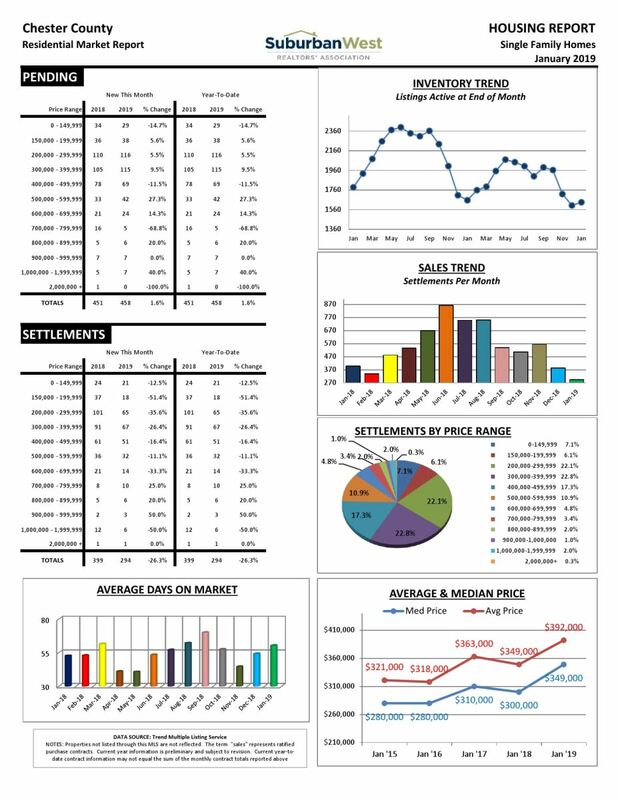 294 homes sold in January with a median sales price of $349,000. The average sales price decreased by 12.3%, and homes were on the market 10 days more.